Inside the House of Money lifts the veil on the typically opaque world of hedge funds, offering a rare glimpse at how today's highest paid money managers approach their craft. Author Steven Drobny demystifies how these star traders make billions for well-heeled investors, revealing their theories, strategies and approaches to markets. Drobny, cofounder of Drobny Global Advisors, an international macroeconomic research and advisory firm, has tapped into his network and beyond in order assemble this collection of thirteen interviews with the industry's best minds. Along the way, you'll get an inside look at firsthand trading experiences through some of the major world financial crises of the last few decades. Whether Russian bonds, Pakistani stocks, Southeast Asian currencies or stakes in African brewing companies, no market or instrument is out of bounds for these elite global macro hedge fund managers. 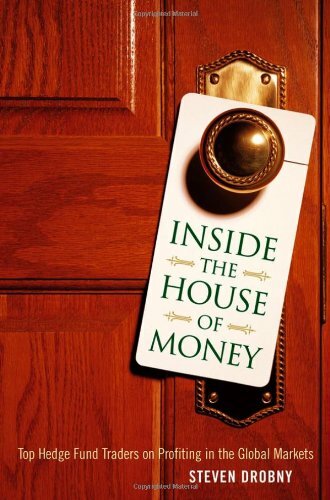 Highly accessible and filled with in-depth expert opinion, Inside the House of Money is a must-read for financial professionals and anyone else interested in understanding the complexities at stake in world financial markets.